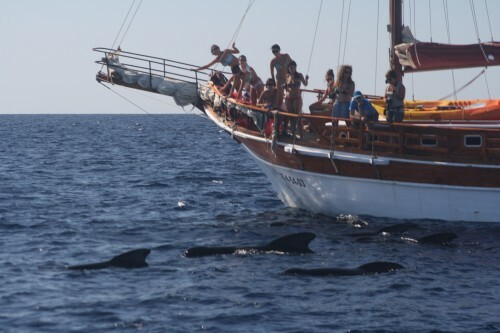 How would you like to sail and go whale and dolphin watching in south Murcia and Almería waters? 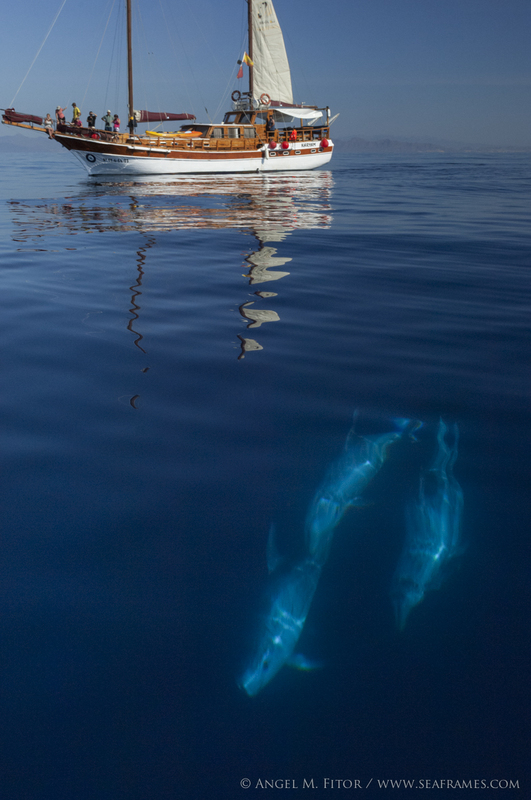 Want to experience a marine adventure, live in a schooner and look for wildlife without going far? Want a holiday that is different, alternative and full of adventure? 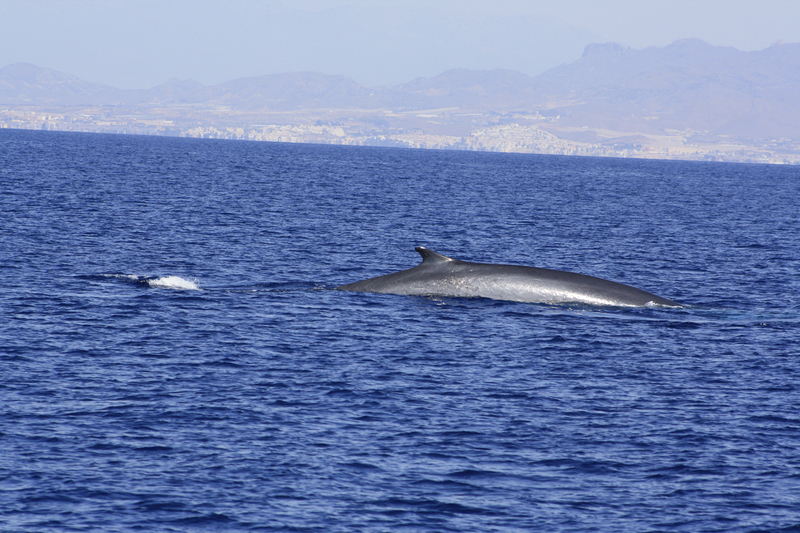 This trip, apart from being an adventure for everyone taking part in it, is also a great opportunity for the Cetáceos & Navegación team to do research supporting whale and dolphin conservation in this part of the Mediterranean. 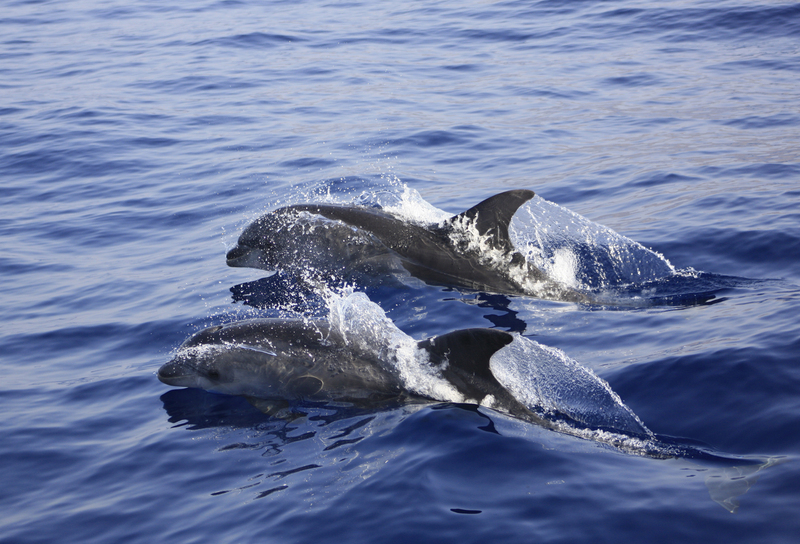 The Karyam crew has been gathering data about the whale and dolphin populations since 2003. You are taken by a professional crew: a biologist, the skipper and sailor who will show you the natural wonders of the Mediterranean and will look after your safety. 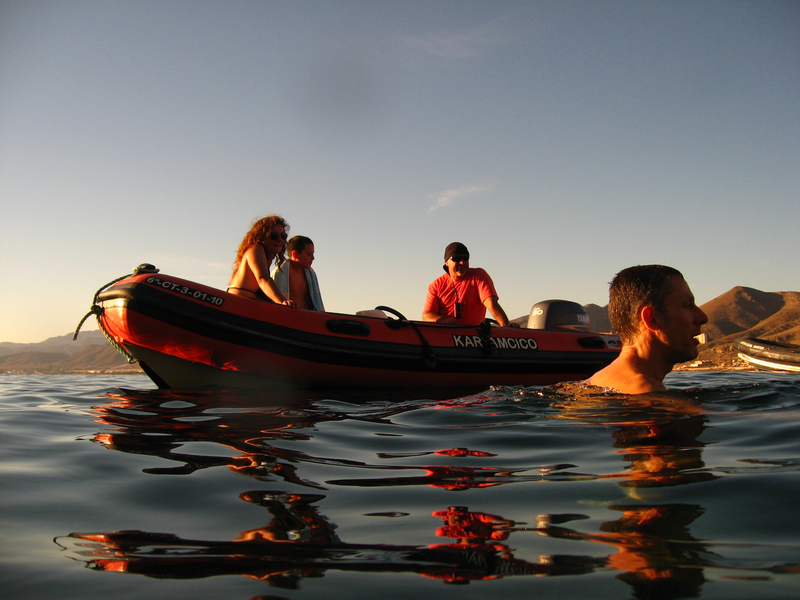 Live on board, go sailing, whale and dolphin watching + anchor in coves + snorkelling + canoeing + trips in the inflatable launch. Cartagena-Cabo Tiñoso Marine Reserve-Mazarrón-Cabo Cope Regional Park-Águilas-Cabo de Gata natural park-Cartagena. Important note: This itinerary may change depending on the professional opinion of the crew on the winds and sea state. Passenger requests cannot be accepted. –Free private parking for your car. –7 days and 6 nights on board in a double cabin. –Professional crew: marine biologist, skipper and professional sailor. –Full board: breakfast, lunch and dinner – except for dinner on the day of arrival, dinner if we are in port and the farewell dinner. Bottled drinking water. Soft drinks, beer and wine (notional amount per meal, larger consumption should be paid for separately). –Insurance on the schooner for civil liability and accidents, insurance on the inflatable launch. We also have Active Tourism accident and civil liability insurance. Dinner on the first day, any dinner we have in a port and the farewell dinner (if any). 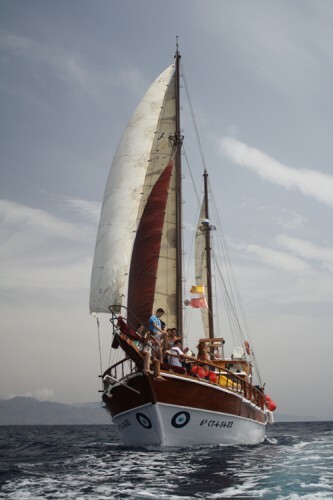 –Embark in Cartagena from 7 pm onwards. Embarkation point, Yacht Port Cartagena. Presentation, accommodation on board, how things work on board (toilets, lights, etc), on-board conduct and safety rules. It will be hot, so you can have a refreshing shower to relax at the port’s facilities. Free time for a stroll and dinner in Cartagena’s historic old town. The famous Treasure from the wreck of the Mercedes in the Underwater Archaeology Museum is very near to the boat. 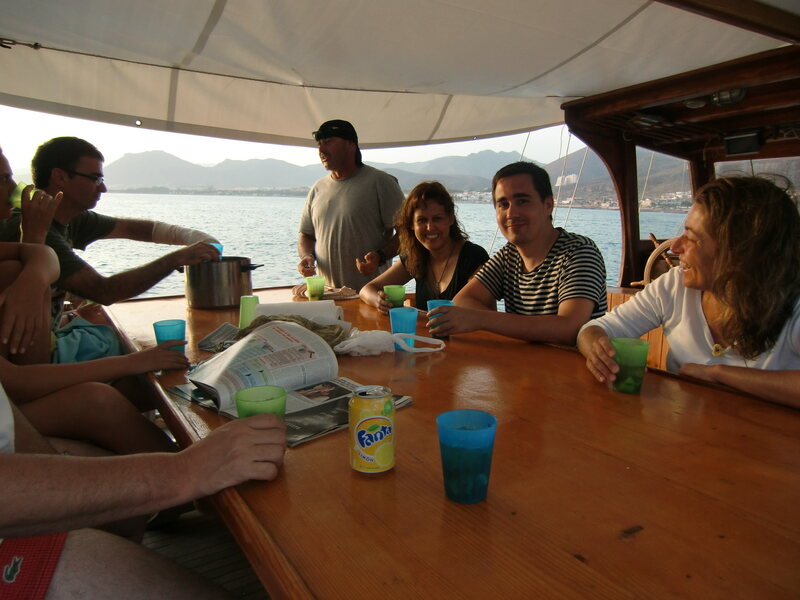 –Breakfast, sail out onto the open sea to look for whales and dolphins. 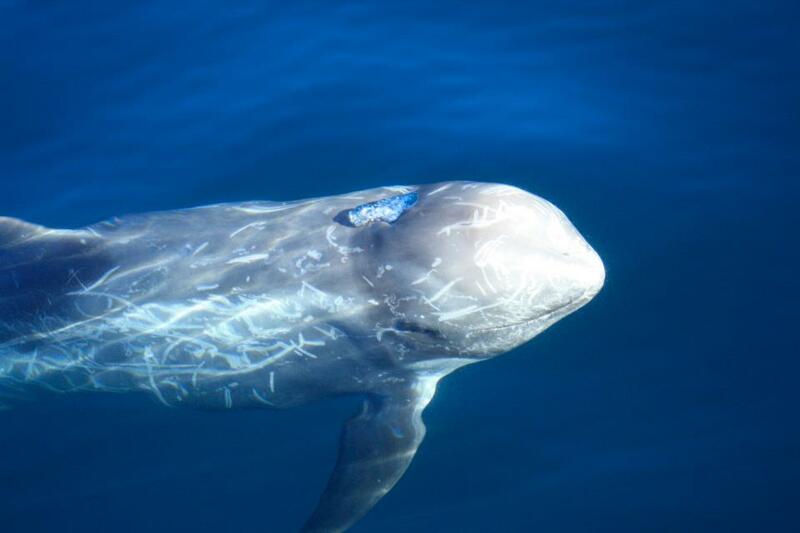 We sail around the area where there is the greatest chance of finding animals. 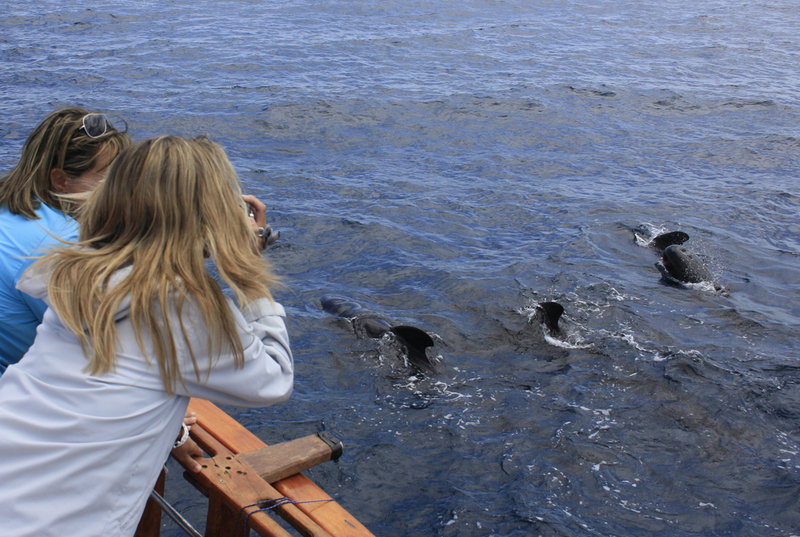 When we find them (always behaving ethically), we get closer to photograph them, make videos and enjoy… Sailing and whale and dolphin watching is what we will do every day on the trip, as our main aim is to see animals and take photos of dolphins, turtles and birds, etc. To get to know more about the animals, on the first day our crew will teach you about all the marine life that you can see. On the other days, they will, of course, continue to show you marine and underwater life. -If we are sailing we have a cold lunch at around 2pm and later on anchor in a bay, or we anchor in a protected cove or bay and have lunch. -In the afternoons, you can go snorkelling, canoeing, enjoy a swim… Afternoons to chill out on the sea which you will miss when you go. -In the evenings, we have dinner on board and a starry night awaits astronomy fans. 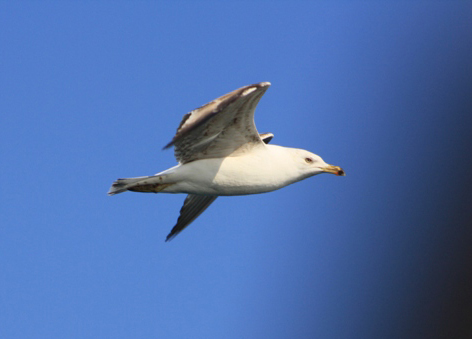 We also go out on the inflatable launch (6 people can go, if everyone wants to go we’ll do two shifts) to look at the coastline close up, land on beaches and watch coastal sea birds. -On board there are books about fish, birds, whales and dolphins so that you can identify the species you see during the trip. There are also nature magazines and various documentaries. -Some nights we do projections about marine species, so you can keep learning things about the sea. -It is possible that we will go into port one evening on the trip to “take on water”. You can take advantage to go for a stroll and get to know the area (we’ll give you some suggestions at the time). 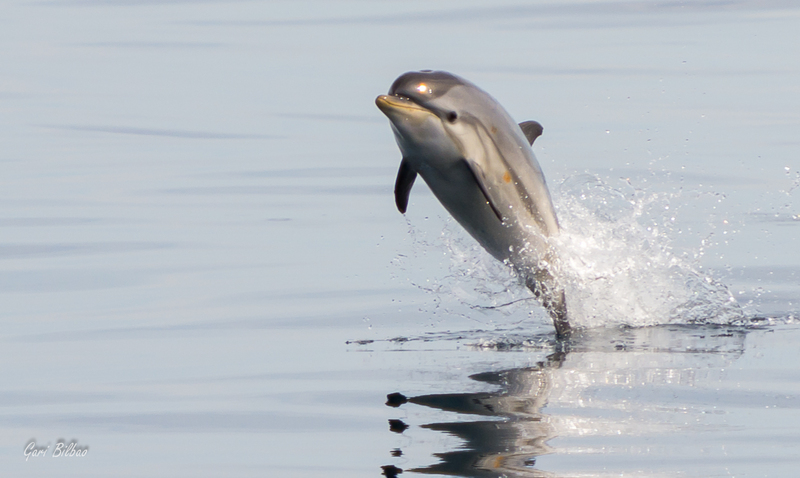 -If, because of the sea state, there is any day when it is inadvisable to set sail and go whale and dolphin watching, we will put on alternative activities: discover scuba diving, snorkelling, discover coves, hiking, etc. Breakfast. Sail to port, recording photos as souvenirs, farewell at around 12 pm. We’re sure you will have enjoyed yourself. 2- It is possible that we need to go into port on one or other afternoon/evening on the trip to take on water (depends on how much fresh water is used on board) and it is also possible that we go into port if the nights are uncomfortable or unsafe. 3- Everyone helps to make the food (although the crew really takes the reins), and laying the table, clearing the table and taking turns to wash up is “a must do”– there are no waiters on board. 4- It may be that one or other day, due to the sea state, we don’t set sail and we stay at anchor in the bay all day. 5- It may be that one or other day, due to the sea state, we stay in the port all day. 6- We departure from and return to Cartagena. 7- The route to be taken and the anchorage areas will be chosen by the crew at the time, depending on the sea state and the area where whales and dolphins will be looked for. Requests in this regard are not accepted. 8- The navigation area is between Cabo de Palos and Cabo de Gata, but it is impossible to give a set route as we depend on the sea state. Our aim is not to reach a particular place, it is to watch whales and dolphins and the trip will be made in the areas where the sea is in the best state for comfort and safety. Important: The route is between Cabo de Palos and Cabo de Gata, but we don’t have the aim of reaching a particular place, everything depends on the sea state and the winds. 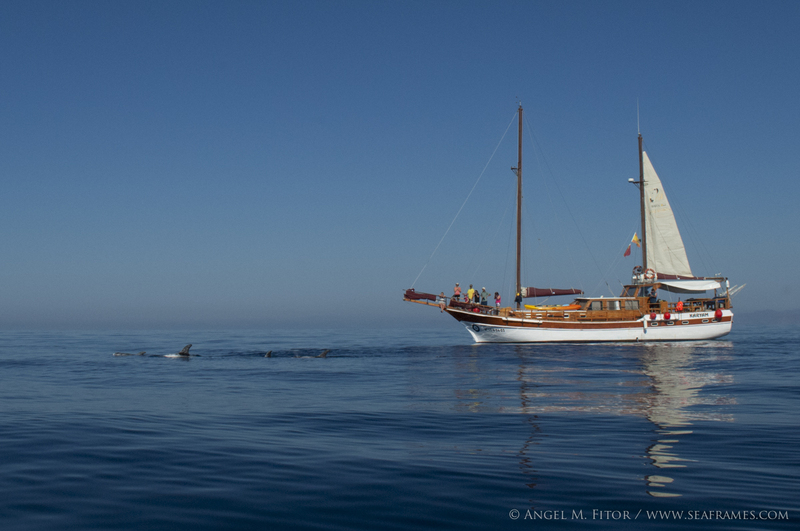 The route will be chosen by the crew based on the abundance of animals, safety and comfort. -Ear plugs, if night time noise bothers you.